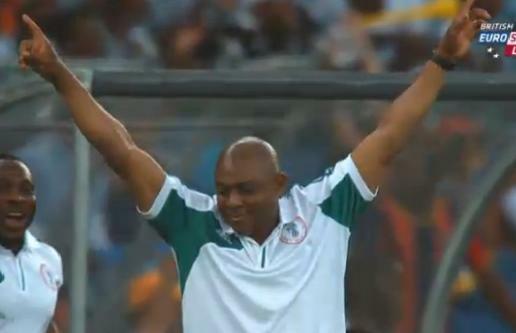 The Orabella's Blog...: Coach Stephen Keshi Resigns!! The historic winning coach Stephen Keshi has resigned his position of the Nigerian Senior Football Team, the Super Eagles as head of coach. Keshi noted that the Nigerian Football Federation (NFF) had already decided they would sack him as soon as the Super Eagles where knocked out in the quarterfinal clash against Ivory Coast. Which means that they did not believe the Super Eagles would progress beyond that stage of the competition. Moreover he stated that NFF booked a ticket back to Nigeria the moment they found out that Ivory Coast was playing against Nigeria. Although there is no official letter on this note from Nigerian Football Authorities, speculations are been made that lack of support and continuous meddling are among the reasons for his resignation. Its unlikely for Keshi to change his mind because he believes NFF did not trust him enough and respect his tactics as a coach. He was quoted as saying "it's a shame in Africa, When there's a good African coach, nobody wants to give you time and space, they want you to have the job today, build an excellent team tomorrow and win the World Cup the following year. If only we can understand the dynamics of how these things work we can have more achievement and successes. But most coaches are not given freedom to work so they are held back." Let's hope that he changes his mind.